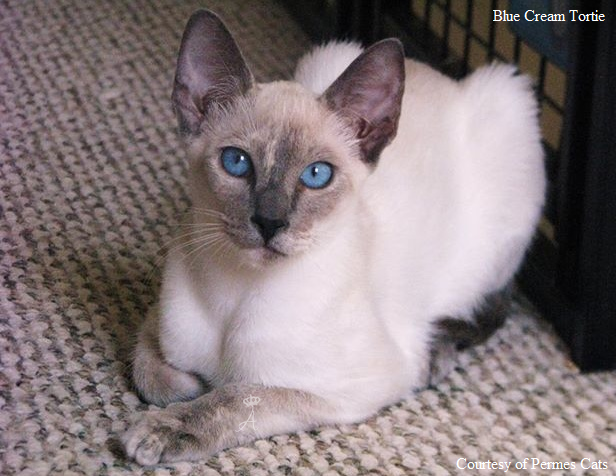 Umbra is a rare Classic standard; Blue Cream, also known as Blue-Tortie point Siamese. 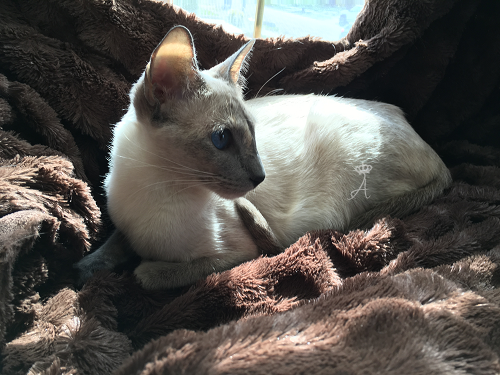 Her mother Permes Nafrini was one of 2-3 very rare Red point Siamese females that were actively breeding in the U.S. in the past 5 years. 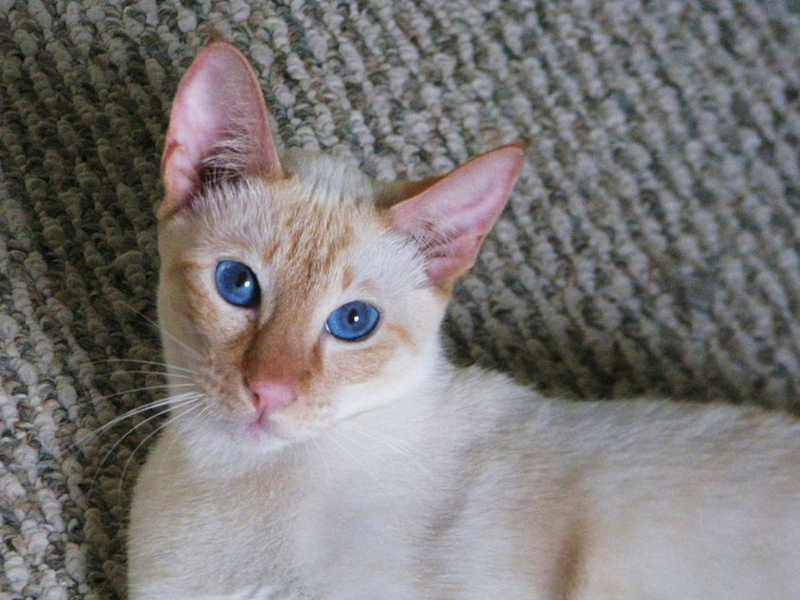 Narini comes from a very long line of Red point Siamese cats. 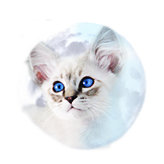 Her father comes from European Balinese cat breeding lines. Though Umbra came to us a bit older, she was initially a bit shy. She blossomed beautifully once she got to trust us more and now comes when called, loves to be petted, and is a wonderfull mother. We are glad that she is part of our breeding program. 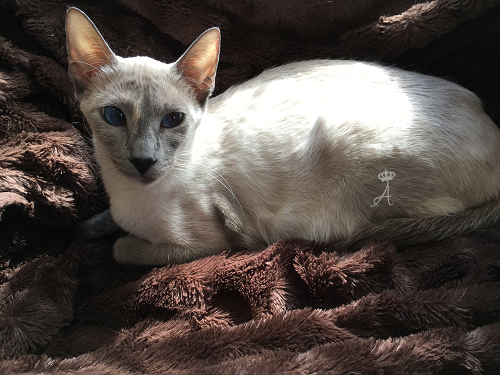 Blue-Tortie points are very hard to find and to acquire which makes Umbra a very rare and wonderful addition to our breeding program, mainly our Red point Balinese division of our breeding program. 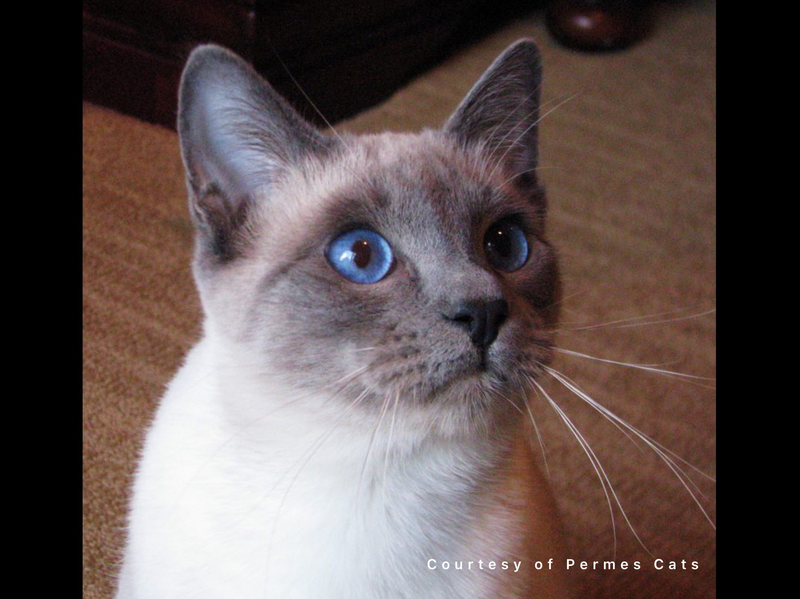 Torties, and Red points are very rare in the U.S. and worldwide at this time, with Red point female Long-hairs being extremely rare because of the extensive breeding that takes place to produce one. 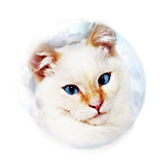 Her breeder Louis knows of the grand importance of keeping and preserving this rare color point which is why he entrusted us with her and we are very thankful to him for that. 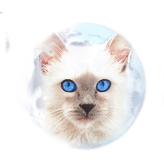 Umbra will be used to produce very rare Red point Balinese kittens as well as the extremely rare Female Red point Siamese & Balinese not commonly found in the United States. 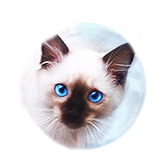 She, along with Azureys Candy, and Azureys Tootsie are the only females capable of producing Red pointed females when bred by our Red point male Balinese cat Permes Hermes of Azureys. Please stay tuned to her and her upcoming rare kittens. 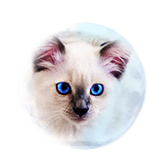 For more information on Tortie and Red point Balinese cats, please visit our Rare point section of our website.